And you may even be surprised to discover that behind the historic facades that line some of the capital's spectacular streets and hidden down its winding back alleys and lanes lie some of the city's most exciting venues. If you're on the hunt for an unusual city venue to host your big day, look no further than the following. 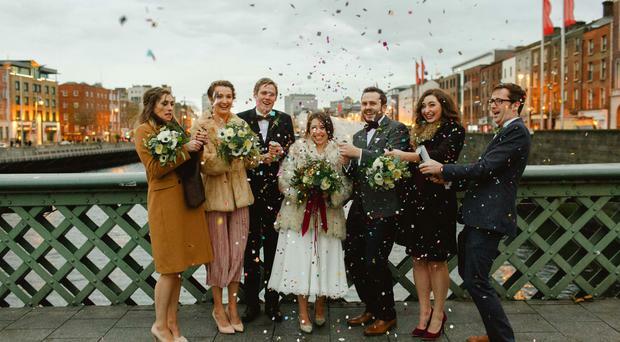 Sitting back and taking in all the sights and sounds of Dublin's lively quays, the restored former church and current arts centre Smock Alley Theatre is a bit of a hidden gem for couples looking for a unique event space to host their wedding ceremony and dinner reception. Although it's located in a prominent spot by the Liffey, Smock Alley feels like it stands in a different space altogether, pulled off the quays and popping up when you don't expect it. The spacious stained-glass-windowed banqueting hall is flooded with natural light and is the ideal spot for couples looking to exchange vows in an alternative, atmospheric setting. The hall can be transformed for entertaining after the 'I do's, becoming a romantic space for an intimate-feel candle-lit celebration with beautiful banqueting style tables and chic chiavari chairs. 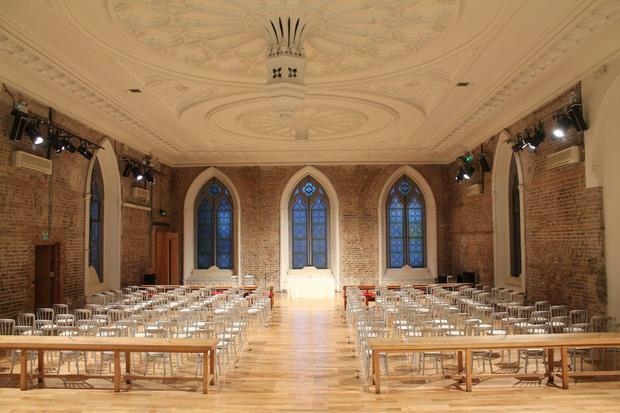 Smock Alley can cater for up to 150 people for a seated dinner and the minimum number required for weddings is 50. Visit smockalley.com for more details. 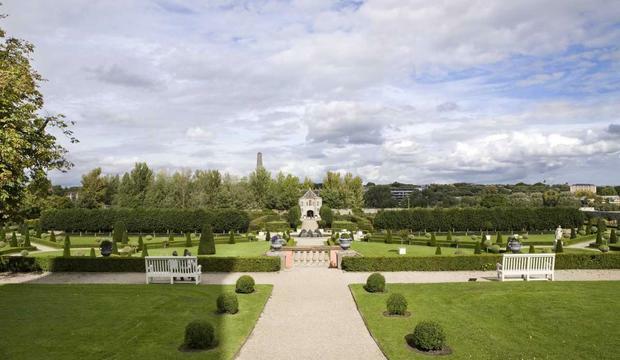 If you're looking for something truly exclusive a mere minutes from the city centre, the spectacular Royal Hospital Kilmainham is a great choice and a real 'wow factor' venue. Hosting just a handful of weddings throughout the year, the Royal Hospital together with its meticulously manicured gardens, atmospheric courtyard and the inspirational IMMA, provides an experience sure to impress even the most seasoned of wedding guests. Weddings at Royal Hospital Kilmainham vary in size and style and at the top of it the space can host up to 1,100 people within its impressive walls. Couples are invited to plan their day utilising the entire space from the Baroque Room for a drinks reception to the striking Great Hall with its high ceilings and huge windows. A marquee can also be erected in the courtyard so there are plenty of options when it comes to showcasing your day your own way. Visit www.rhk.ie for more details. 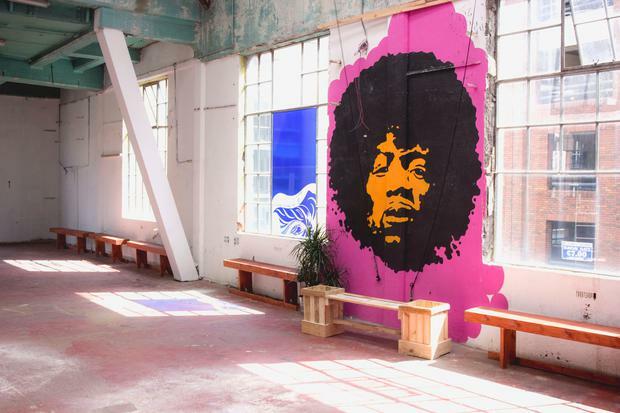 The Chocolate Factory on King's Inn Street is one of the city's most exciting event spaces at the moment. The venue, which plays host to a new creative community of small businesses and individuals in creative sectors during the week days, has already hosted some truly unique nuptials which have utilised the industrial feel and creative ambiance of the area to develop a contemporary, memorable celebration that really does stand out from the rest. The Chocolate Factory gets its name from the old Williams & Woods building in which it is set, which has a history of producing various chocolate and sweet products including Toblerone and the nostalgia-inducing Mint Crisp - you can see the potential wedding favours going down a treat with guests already! Food from the highly regarded Blas Cafe, as well as decoration and photography can all be provided by the in-house creative community. For more information on events and weddings at The Chocolate Factory, visit www.chocolatefactory.ie. 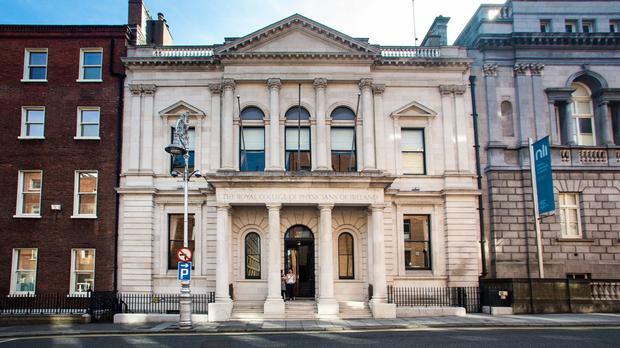 Beyond the impressive stone pillars and elegant facade of Number 6 on Kildare Street, one is transported to a world of majestic grandeur in the heart of Dublin's city centre. Nestled beside the National Library of Ireland, the landmark building, which has been home to the Royal College of Physicians since 1864, offers eight stylish and unique rooms to accommodate a range of different wedding styles. With its a majestic high wooden ceilings and sparkling crystal chandeliers, Corrigan Hall is the biggest of the college’s rooms, and is home to many of the bigger wedding receptions held within the space, while for intimate ceremonies or drinks receptions, the atmospheric Dun Library, with its vast floor-to-ceiling antique book cases, offers a stunning space for guests to take in the historical significance of the venue. For larger ceremony however the bright and airy Graves Hall is an great space; its sea green walls working perfectly with antique gold framed art to create a striking balance between the traditional and the contemporary. No.6 Kildare Street can accommodate up to 150 wedding guests and offers exclusive use of the building until 1.30am on the day of the wedding. For more information on No. 6 Kildare Street, visit www.numbersix.ie. 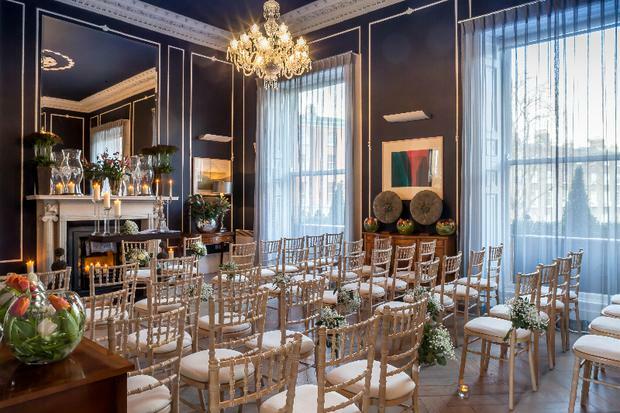 For a wedding celebration in the heart of Dublin's city, it doesn't get more central than St. Stephen's Green Hibernian Club (SGHC). The historical building dates back to the 18th Century and offers couples the chance to really impress guests with an alternative and memorable choice of wedding setting. SGHC is just a stone's throw from the University, Utilitarian and the stunning Pepper Canister Church, so couples are spoiled for choice when it comes to a ceremony and reception location within walking distance of each other. Photographers should feel inspired stopping for photos on the streets with some of the prettiest pubs and interesting doorways as cool urban backdrops, and of course you have the green there for more formal photos if you feel the need*. The club specialises in smaller, more intimate weddings, catering for numbers from 40 - 96 guests. For more about events and weddings at SHGC visit www.sghc.ie. *Note: A free permit is officially required to take wedding photos in St, Stephen's Green Park. Ask your photographer to apply to Office of Public Works giving at least three days notice if you do wish to have your photos taken in the park. The exclusive No. 25 Fitzwilliam Place in the heart of Dublin is located on a peaceful stretch of the city's picturesque Georgian Mile. Standing out of time, the sophisticated yet understated facade gives just a little hint of the elegance inside. The interior has been lovingly restored to display an altogether more contemporary setting that retains all the grandeur of the past. 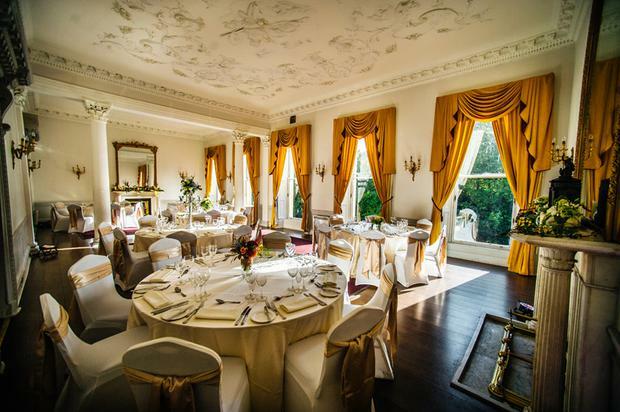 Intimate celebrations can be held in the beautiful Eileen Grey Room, which seats 30 guests for dinner, while bigger ceremonies and receptions are invited to use the impressive first floor Gandon Rooms which accommodates 60 dinner guests. The modern room is styled with stunning Cinema Navy walls, intriguing art and is naturally lit with floor-to-ceiling sash windows overlooking the peaceful Fitzwilliam Square. For more about No. 25 Fitzwilliam Square visit www.25fitzwilliamplace.ie. A wedding venue most people mightn't even think to consider although they see or walk by it often is the Dublin landmark of Christ Church Cathdral. The magnificent Cathedral hosts a surprising number of weddings throughout the year, which often appear on the blogs of some of the city's coolest photographers and videographers. 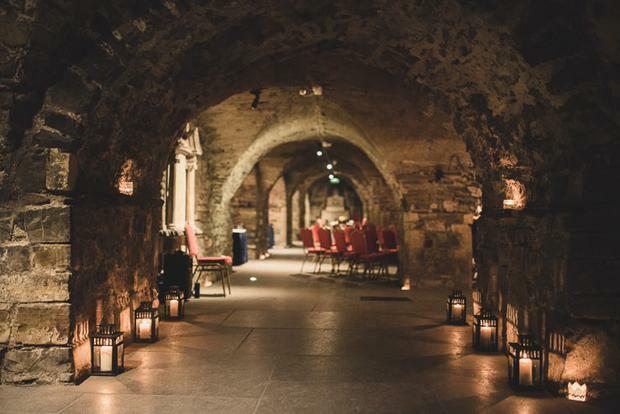 The setting for wedding celebrations is 'the crypt', sometimes referred to as 'the vaults'. Stone walled and candle lit, the crypt provides a truly unique and memorable experience for couples and their guests right in the heart of the country's capital. Couples can exchange vows in the 11th Century cathedral crypt, which has been brought right up to date with underfloor heating and air conditioning, meaning your 120 guests will be more than comfortable no matter the weather. The crypt can also then be transformed into a romantic and intimate setting with beautiful banqueting tables and elegant decor for dinner in the evening. For more about weddings at Christ Church Cathedral, visit www.christchurchcathedral.ie. 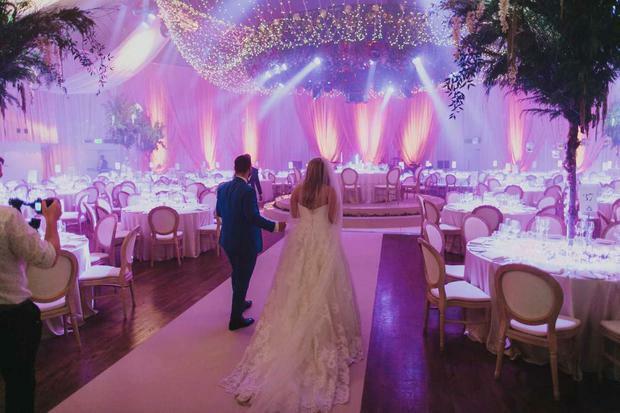 The round room at the Lord Mayor's house on Dawson Street offers couples a venue that is a real 'wow factor'. From an arrival at the historic courtyard, to canapes on the foot of the grand staircase and final stroll into the magnificent 18th Century round room itself, guests are promised a truly memorable experience in one of the city's most exclusive addresses. For more about events at the Mansion House, visit www.theconferenceandeventsvenue.ie. The impressive Law Society of Ireland makes for a beautiful backdrop for a formal wedding. Located on Arran Quay, the venue in the heart of the city also allows couples to hold their reception in an adjoining marquee. 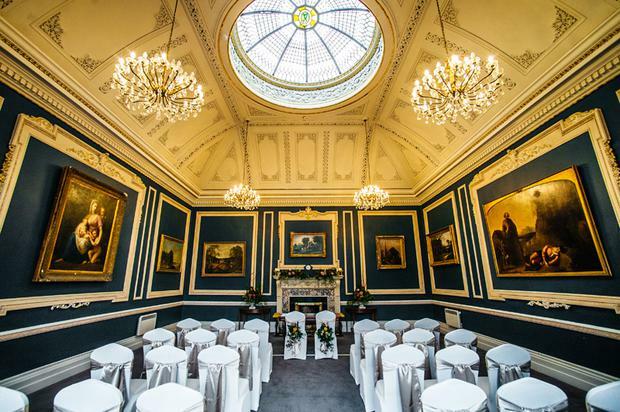 Civil ceremonies can be held in the Presidents’ Hall or in the Blue Room which lends itself well to the drinks reception. Visit lawsociety.ie for more. 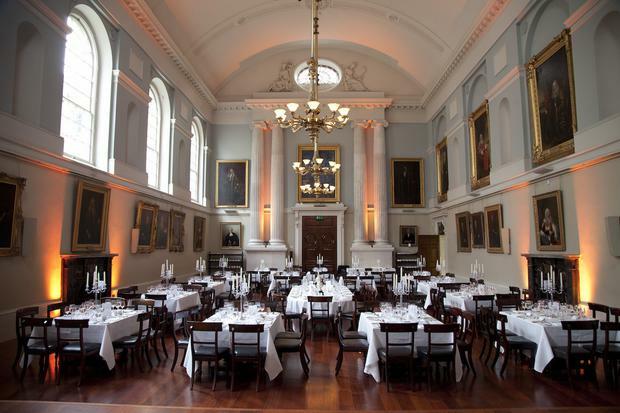 For a wedding with the wow factor, The Honorable Society of King's Inns on Henrietta Street in the centre of Dublin is one of the most jaw dropping. 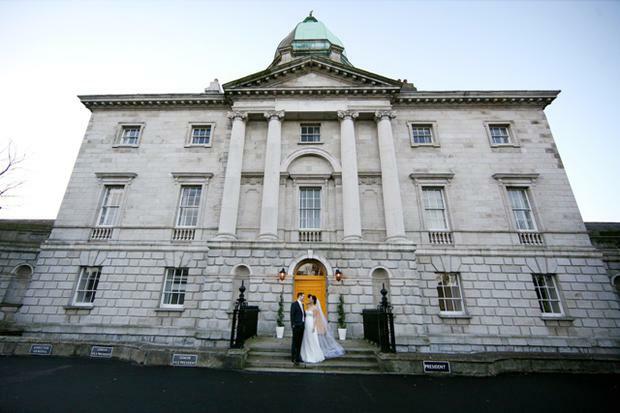 Designed by architect James Gandon, whose works also include The Custom House and Four Courts in Dublin, the building itself makes for a magnificent backdrop for wedding photos. Inside old and new combine to create an inspiring setting, which has played host to guests for over 200 years. Special occasions at King's Inns are organised by Claire Hanley, whose reputation was originally built upon her food, however her wealth of experience with various grand events and special occasions has resulted in an exceptional expertise in creating a fabulous occasion that's completely personal and catered to the couple's taste. Visit kingsinn.ie for more information.